While there are some risk factors like tobacco use and smoking that can increase your chances of getting oral cancer, unfortunately, it can affect anyone. At Brown & Nawrocki Restorative & Cosmetic Dentistry, Dr. Andrew Nawrocki is experienced in detecting the warning signs and diagnosing oral cancer in Ormond Beach. Keep reading to learn everything that you need to know about oral cancer screenings and why they’re an important part of your routine dental checkup. Pain in or around your ears. While oral cancer is often hard to detect on your own, if you do notice any of these warning signs, contact our office right away for proper diagnosis and treatment. 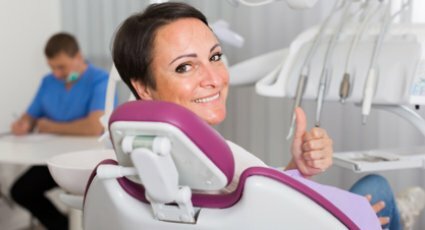 Dentists alone catch around 85% of oral cancers, which is why this fast and simple part of your routine dental checkup can be potentially lifesaving. Especially if you use tobacco, drink heavily, have had cancer in the past, or a history of sun exposure, it’s important to visit our office. Our highly-trained dentists will carefully examine your mouth for any irregularities or cancerous tissue. They will detect any of the symptoms described above, but they will also be able to catch less-obvious signs. If our dentists do end up detecting symptoms of oral cancer, they may recommend a biopsy for further investigation. 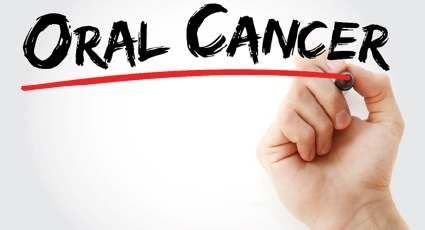 The sooner oral cancer is diagnosed, the higher chances you have of a full recovery. During your oral cancer screening, we will check your mouth, tongue, cheeks, throat, head, jaw, and neck for any signs of cancer both visually and physically. To help us give as thorough of an examination as possible, we use the VELscope Vx system—the world’s #1 oral examination device. This device magnifies oral issues, allowing us to detect abnormalities immediately. Compared to other examinations, this doesn’t require any unwanted dyes or long test times. VELscope allows us to check your mouth for cancer in around 2 minutes. Our dentists will also inspect your neck and the lymph nodes in your jaw to check for any lumps or bumps that could signal cancer. During the physical part of the exam Dr. Nawrocki may check your ears and jaw joints for any lumps, pain, or soreness. When was the last time that you were checked for oral cancer? Contact our office for a routine dental checkup that includes a fast, painless, yet comprehensive oral cancer screening.